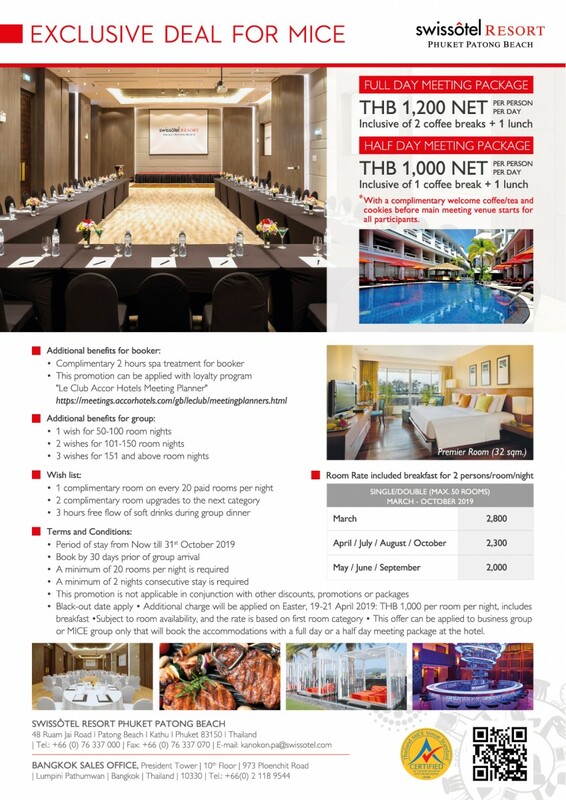 SWISSÔTEL PHUKET PATONG BEACH PRIDES ITSELF WITH ITS WIDE CHOICE OF HIGH-CLASS MEETINGS AND EVENTS’ VENUES. We offer a wide selection of exclusive meetings & events venues in Phuket. Our new contemporary ballroom can be divided into three sizeable meeting rooms. Suitable for both large Corporate and Social event. In short, The conference facilities and services are guaranteed to amaze your invitees, and as a result, leaving them a long-lasting impression. 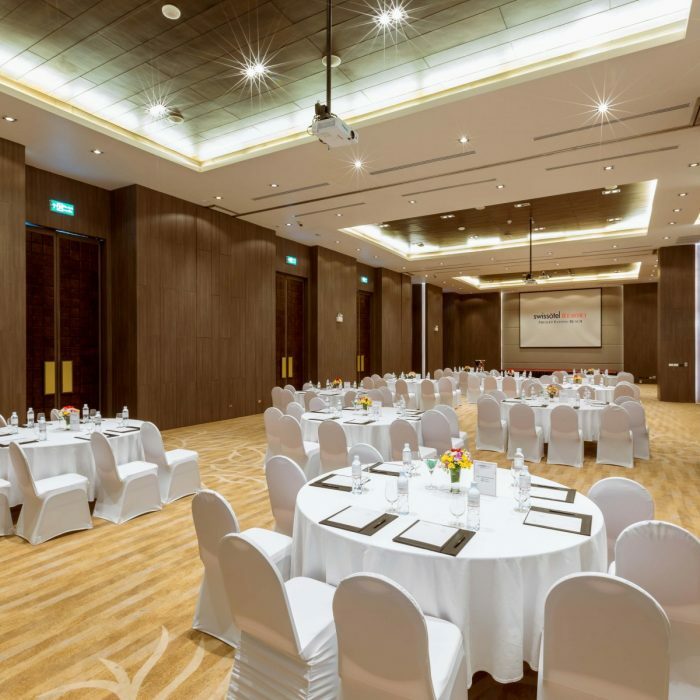 Also, our meeting venues are supported by ultramodern technology, high-speed Wi-Fi and video conferencing facilities with full technical support.